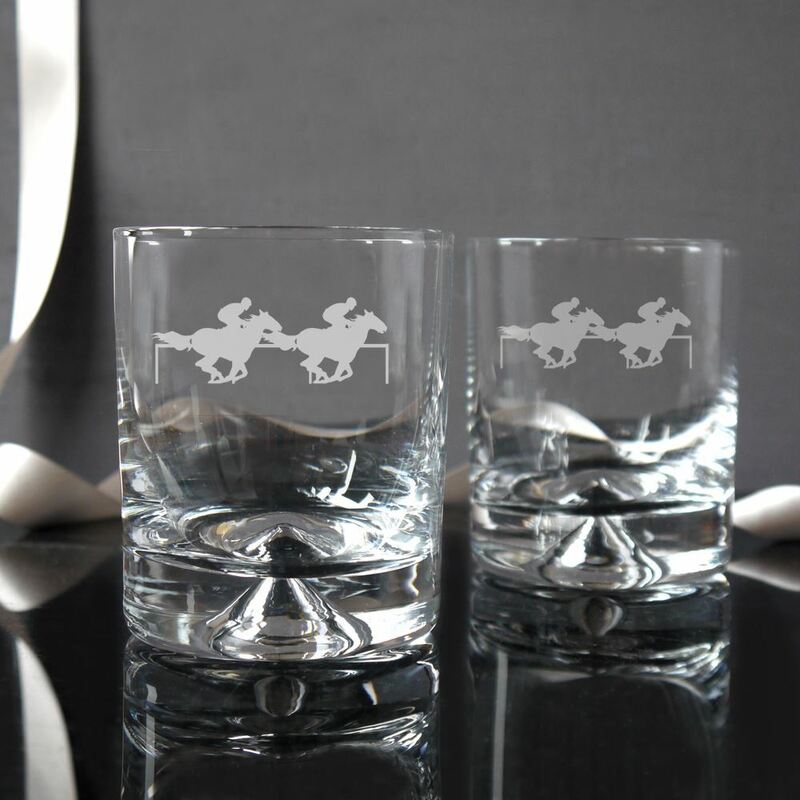 The Furlong Collection showcases some of Inkerman's most classic pieces, etched with a simple yet elegant design of racing horses. They are suitable as trophies for jockeys, trainers and owners, and can be etched with race names, dates and logos. Contact sales@inkerman.co.uk for personalisation pricing. Tumbler - 9cm height Highball - 15cm height. Priced as a pair.